making leading-edge technologies accessible to businesses. through building strategic partnerships that last. We build partnerships, not contracts. We work with you to create service solutions that have a deep impact on your business and growth. We help you prioritise and plan, so there’s no surprises. We always have our sights set on the future, so you can focus on the present. We want to simplify the technology landscape and arm businesses with the skills and knowledge required for the digital era. Have a look at some of our latest resources that help make sense of the increasingly complex digital world. Thanks to Tecala, we are able to continue to provide top-quality education services to growing numbers of students throughout Australia. We provide consulting, project management, integration and management expertise and a flexible engagement model. Through our services you can focus on your ICT strategic initiatives, whilst reducing your operating costs. Increase uptime and end-user engagement while saving costs. ICT planning in line with business drivers is essential to future-proof your business. Our consultative approach is second-to-none. We deliver the support required for your day-to-day operations, allowing you to focus on core business deliverables. We make moving to the Cloud or planning for the next level simple and straightforward; delivering business-appropriate XaaS solutions. The entire Tecala team demonstrated time and time again that they had the leadership qualities, experience and capability to make [transitioning to a new IT environment] a seamless experience. With Tecala, you have the freedom to design your own engagement model. We recognise the benefits of being able to customize your commitment, so each of our products can be isolated, or used as individual building blocks, tailored to your specific requirements. Meet some of our happy Clients and hear why they rate us. Ivy College is one of Australia's leading online education providers. Ivy College is not your typical education company. The entire business has been built around meeting the unique needs of adult learners by providing a flexible online learning experience, high-touch support and bespoke career coaching. Since its launch in 2009, Ivy has experienced unprecedented growth – topping 100 staff and thousands of students. Ivy has been voted in the Top 5 Most Innovative Companies by BRW in 2015 and named Australia’s top medium-sized business for service excellence in 2015.With such rapid growth, it’s been paramount for us as a business to harness an effective technology solution to support the scale of our growing student population. We needed a systems technology that was both agile in design and delivery and could fully meet the demands of our growing faculty and student cohort. Aware of these challenges, we actively sought out a partner in the IT space for ongoing support. Essentially, we needed an extension of our own team to truly understand the complexities of the business. Tecala, an Australian managed services provider have been incredible in working with us to drive our business growth and empower our staff. With Tecala supporting our strategic initiatives and corporate support, this shared accountability has enabled our staff to focus on what matters – continued business growth – unconstrained by the need to “keep the lights on”. All parties are employed doing what they’re great at, and we believe this is a recipe for ongoing success. Our close partnership with Tecala has enabled Ivy College to truly emulate the IT-as-a-Service model. Their offering is flexible yet with a predictable expenditure modelling, insured by stringent Service Level Agreements, and delivered locally, by real people. As a bonus, we share the same corporate values – Tecala and Ivy both believe in delivering personal service, as and when our Client’s need it. Australia's Largest Workplace Consultancy for Employers. With such a heavy reliance on Information Technology to deliver our services to our clients, it became apparent the more traditional management and delivery models were not working. Employsure supports its clients every step of the way and we required a comparable approach from our IT partner. In reviewing providers of Private Cloud Services, we sought a local Australian business who genuinely wanted to establish a partnership with our business. Tecala is locally owned and locally hosted and was immediately identified as a viable candidate. Their strong customer-first ethos and localised hosting capabilities was very appealing. 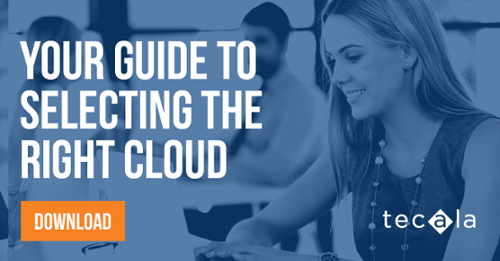 Employsure’s IT team could realise the benefits of Tecala’s Private Cloud, without the concern of being lost in a larger entities platform, due to our highly efficient Private Cloud footprint. With personalised Service Delivery Management and 24/7 support, Tecala’s operations have done nothing but complement those of our team. HESTA is the industry super fund for people working in health and community services. HESTA is an industry super fund dedicated to people in health and community services, with more than 820,000 members and $37 billion in assets. HESTA was established in 1987 to help its members, 85% of whom are women, achieve the retirement they deserve. HESTA maintains the highest ratings from all ratings agencies including a AAA-Quality Rating and MySuper of the Year Award from SelectingSuper and SuperRatings’ 10-year Platinum Performance Rating. “In 2015, HESTA undertook a strategic review of our corporate technology strategy. In doing so, we identified the need to partner with a right-sized technology company that embraced HESTA’s strategic direction and values – a partner who could provide thought leadership as a trusted technology adviser. HESTA’s core values of partnering, passion and leadership were reflected in the Tecala team throughout the entire selection process, which showed us that they intuitively understood how important service delivery is to HESTA. A key focus area for HESTA was that our future technology provider needed to understand the regulatory environment in which we operate in while being responsive to our changing needs. 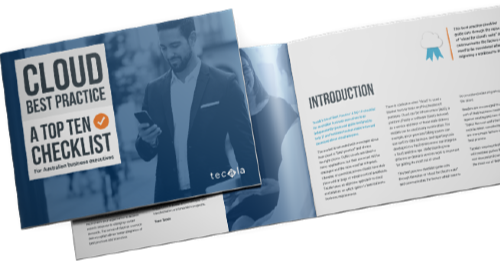 While transitioning to an entirely new IT environment was a daunting task and involved co-ordination with multiple 3rd party providers, the entire Tecala team demonstrated time and time again that they had the leadership qualities, experience and capability to make this a seamless experience for the end users. Tecala has carried this approach through into our daily interactions and feedback received from staff has been extremely positive. As we now start to execute our long term business goals, we are confident in our decision to partner with Tecala and we look forward to strengthening our partnership in the future.